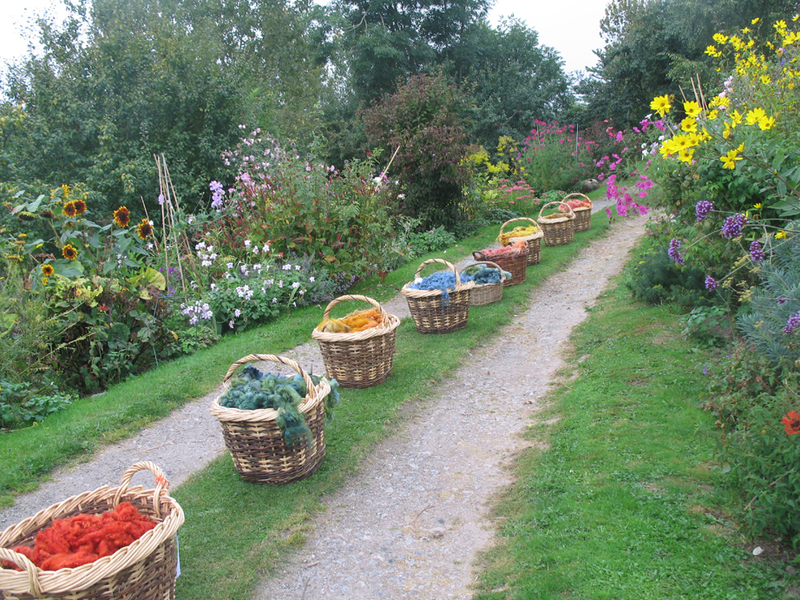 Home » Courses » Plant Dyeing, Peg loom weaving, Brinkley loom weaving and feltmaking. Plant Dyeing, Peg loom weaving, Brinkley loom weaving and feltmaking. A 3 day course will teach you how to choose a beautiful fleece, wash, dry and card it. You will then use the plants from our garden to make amazing colours. The next day you will make a peg loom hanging with the fleece you have dyed. On the third day you will learn to weave on a Brinkley loom, making a sample piece or even a scarf! And you will also be able to make a 3D piece of felt. Materials, refreshments and vegetarian lunch provided. Email or phone Jane to make a booking.